You may remember that on 27 October we celebrated National Black Cat Day, a day dedicated to the monochrome moggies that sadly take 13% longer to be rehomed than cats of other colours. 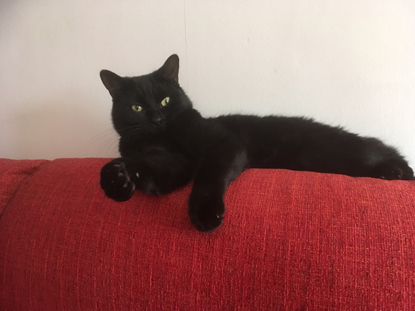 As well as creating colour swatches of beautiful black cat shades that you could assign to your own felines, we also featured some black cats waiting for their forever homes on our website. Thankfully, many of them didn’t have to wait long, and so we thought we’d give you an update on where they are now! One-and-a-half year old Bobbie was found on the street before being cared for by our Stranraer & District Branch, which tried everything it could to find his owners. When no one came forward, he was spotted by the Baxter family, who were looking for a young cat that would get along with their toddler. Bobbie is now very much part of the family, loving the attention he gets from his two young human siblings. He has a farm house to live in and acres of land to explore once he starts to go outdoors. He is definitely a lucky black cat! 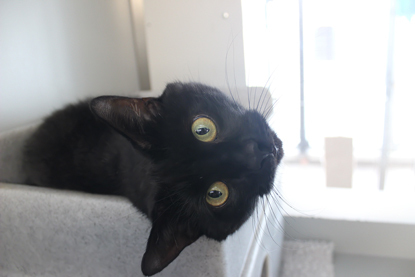 Handsome one-year-old Bobby was being looked after by our Cambridge Branch and hoped to find a quiet home where he could be the centre of attention. Thankfully, his wishes came true as he was soon adopted by Harriet and her family. 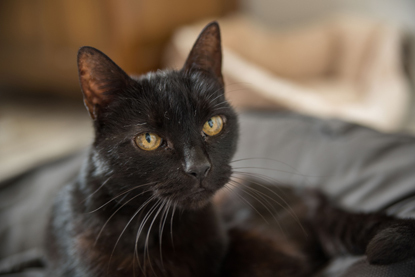 She said: "When our little cat passed away in 2017, we were bereft and although we knew we would eventually like to have another cat, we didn't want to rush into finding someone to replace her. We thought that when we felt ready to welcome another little being into the household, it would be great to find a rescue cat. 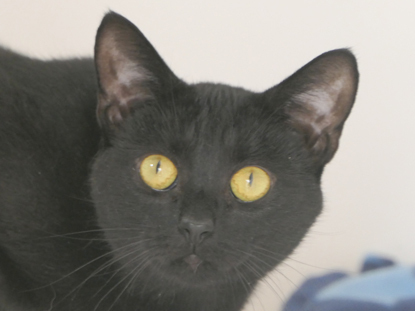 Bobby's little face immediately drew my attention when I saw him on the Cats Protection website. He looked so appealing and also in need of someone to cherish him. 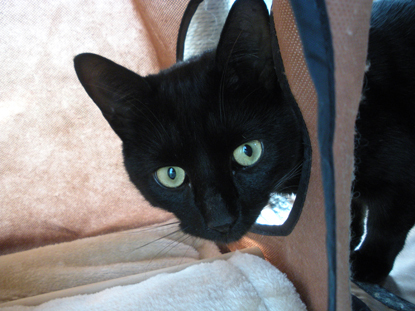 I've always loved waifs and strays, and I adore black cats, so I thought he would be ideal for our family. We were told that he'd had a difficult start, so I was eager to give him a secure loving home. When we met him, he was a bit bewildered, but very responsive and I felt we could work with that. "Bobby has been with us just over a week and has already settled in well. He is a bit obsessed with food, but is gradually calming down on that front, as he realises that he doesn't have to worry about not being fed. He makes us laugh with his funny ways, whether he's racing around the house like there's no tomorrow, or chasing his tail. He is also very affectionate and likes to curl up on an available lap and purr away, which is not what we expected so soon. I am so glad that we decided to welcome him into our lives. He is a very rewarding little chap and I look forward to watching him grow and learn more about his quirky ways." 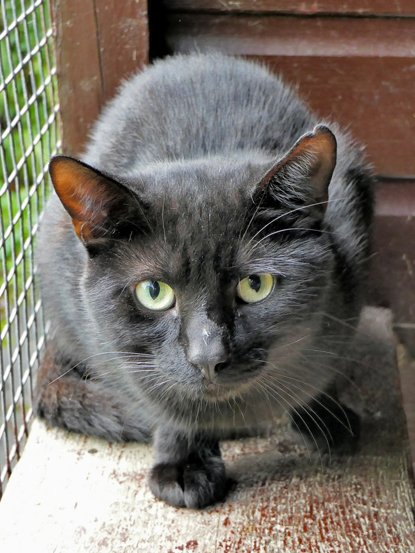 If you would like to adopt a beautiful black cat of your own, visit www.cats.org.uk/adopt-a-cat to find the cats looking for homes in your area.